Jemini completed her Legal Practice Course at the College of Law in 2011 and has been working in the legal profession since. 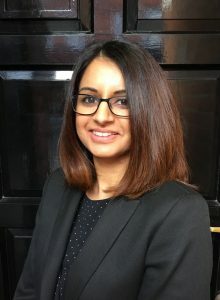 She joined the Firm as a trainee in February 2018, having previously been with us as a paralegal. Jemini works in both the Family and Private Client departments. Jemini’s caring and thorough approach to her work stems from her client-focused attitude, and she goes the extra mile to ensure that the best outcome possible is reached for each client.